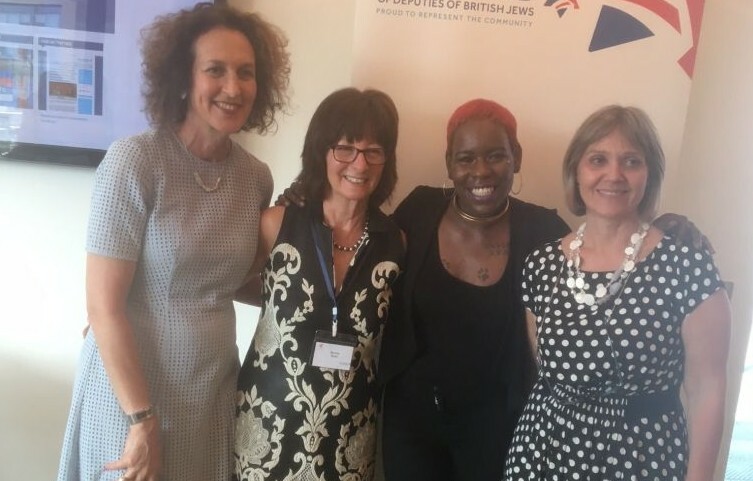 In her first public appearance since becoming the new president of the National Union of Students, Shakira Martin was the special guest of the Board of Deputies celebrating its Women in Jewish Leadership project, founded to address gender equality issues in the community. Ms Martin, who formally takes office on July 1, is currently the NUS vice president for further education. She was the unexpected winner of the student presidency, defeating the controversial Malia Bouattia whose comments about “Zionist” students led to a number of universities seceding from the union, and fraught relations with the Union of Jewish Students. Her appearance at the Board’s event has led to hopes of a much improved relationship between Jewish students and the central union. In an emotional address, Ms Martin spoke about her own background and her journey towards leading the NUS. She did not have the best start in life, she told her audience, having grown up “in a single parent family, where drug abuse played a major part of my upbringing”. She failed her GCSEs but enrolled on a business studies course at her local sixth form, dropping out after just three months. She said: “Deep in my heart I did have aspirations to have a good job, a nice house and not to have to struggle for money, as I saw my mum so often did. I knew I wanted to make something of myself but never had the confidence to step out of my comfort zone and confront the obstacles, challenges and stereotypes I faced just for being a black working class woman. Eventually she found a job at a GP’s surgery, where she worked successfully for three years before being “pushed out by the newly employed practice manager.I took the employers to tribunal, represented myself and won”. This, said Ms Martin, “was the beginning of the eureka moment. I decided to go back to college and do a leadership and management course. I realised I had to create my own opportunities”. She studied hard, became president of Lewisham Southwark College, and has now been elected as president of the national union. Looking back, Ms Martin admitted, “I thought my full potential would be sitting on the block, smoking weed, causing trouble”. Instead, she was on a different track. “All of us will have dealt with the barriers of being a woman from an ethnic minority background. When we come together in rooms like these, we’re saying that we want the next generation to have more than what we had. “It is important that we women share this journey together to achieve success, we help each other out and not be afraid to dream big. If we can inspire, empower or motivate one person, then it will all be worth it”. She told the audience: “When I speak to Jewish students, they have told me that student politics and their time at university hasn’t been good or positive for them —and this is something I and my team will work to address. We need to unite to truly eliminate barriers”. The meeting was also addressed by Laura Marks, OBE, and the chief executive of the Board of Deputies Gillian Merron.